As a parent or guardian, you are very concerned about your student's physical well-being. Our office is here to help ensure their academic well-being. As such, we would like to be seen as a partner in your Buffalo State student's success. Sometimes, you may want to intervene on your student's behalf. We would be happy to speak with you, but there are federal laws that prohibit us from doing so without your student's consent. Specifically, the Family Educational Rights and Privacy Act (FERPA) limits what information we can discuss about students without their consent.  If you would like to discuss educational record information about a Buffalo State student, please have the student complete and submit the FERPA Consent Form. Thank you for understanding the procedures the federal government has created to maintain the delicate balance of your student's rights and your parental concern.